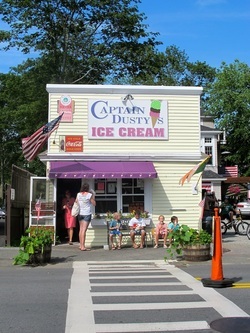 On an episode of DT Fan Radio in March 2012, Josh shared with DT Fan Ambassador Amanda some Massachusetts spots associated with him growing up in this New England state. Helpful added tips from Amanda, who went to school in Boston for two years. Maybe it's time for YOU to pay a visit? (Photo credit Amanda Rosenblatt) We 're starting off in Boston, the state capital which is accessible via Logan Airport, by buses, Amtrak and commuter rails that arrive at South Station (or by train and public transit at North Station which is situated inside of the iconic "Boston Garden" arena) or off of I95 or I93. Josh's favorite spots within this historic city are The Boston Common (think a smaller version of NYC's Central Park) and Faneuil Hall. You can get to both locations either by walking the Freedom Trail or taking the Green Line towards Lechmere (Park Street stop for The Common and the Government Center stop for Faneuil Hall). Josh's favorite food when in Boston is grabbing a slice of Pizzeria Regina inside Faneuil Hall's massive food court, but if you want a true authentic taste of Boston, head just a bit of a walk down to The North End to the original Pizzeria Regina's. Amanda's Suggestions - Go see BlueManGroup at the Charles Playhouse, then afterwards try the Hot Chocolate Flight (sampler) at nearby Finale. 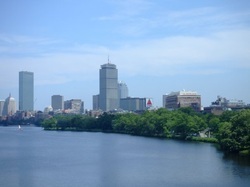 (Photo Credit to UniversityRelations.Tufts.edu) Once you check out Boston, you'll want to head towards Medford. Josh is a proud graduate of Tufts University in Somerville/Medford. His favorite dorms he lived in were Bush Hall with a runner up of Lewis Hall. During off time at school, he liked to frequent Espresso's Pizza, but unfortunately, the owner passed away recently and it's unclear if it will re-open. While myself and Josh don't encourage you to try to go into any of Tufts' buildings, wandering about the Tufts campus especially in the Fall or Spring is an enjoyable walk. 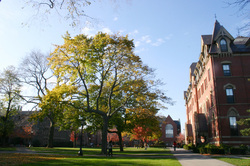 You can get to Tufts via public transit, with all info at this page on Tufts' site. Amanda's Suggestion - Thrift shopping at Buffalo Exchange and visit Tufts' bookstore, since I once held a summer job there!